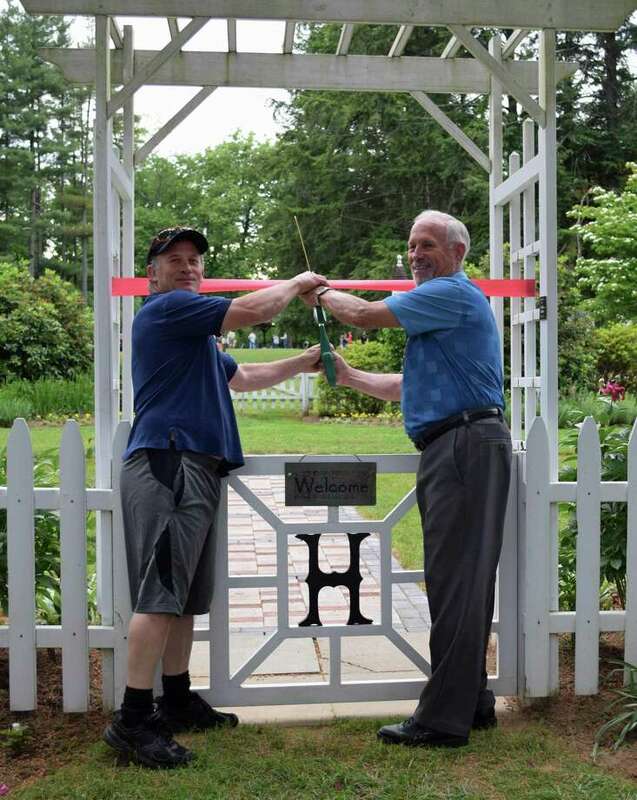 Harrybrooke Park & Harden House Museum in New Milford is celebrating a new addition to its gated garden, a memorial garden brick walkway. A dedication for the first section of the walkway took place June 15. Phase two is now underway. A 4-inch by 8-inch engraved brick, consisting of three lines of text with 20 characters per line without clip art or 15 characters per line with clip art, is $60. An 8-inch by 8-inch engraved brick, consisting of six lines of text with 20 characters per line without clip art or four lines of text with 15 characters per line with clip art, is $120. Money raised will help fund the continued maintenance of the park and museum. “Harrybrooke Park holds a very special place in the hearts of all New Milfordites and beyond,” said park Executive Director Billy Buckbee. “This will allow people to remember their special day, the memory of a loved one, or as a gift for a family member,” he said. brooke or by calling 860-799-6520 to request an order form.